I have an extra back room that I store stuff in. It was getting pretty messy and out of control so I recently cleaned it all up. I have a decent amount of records but my main player was out in my pole barn. I used to mess around out there quite a bit but really haven't been out there much in a couple of years. So I figure since I got my extra room cleaned up I'd hook it up back there. Here is the result. 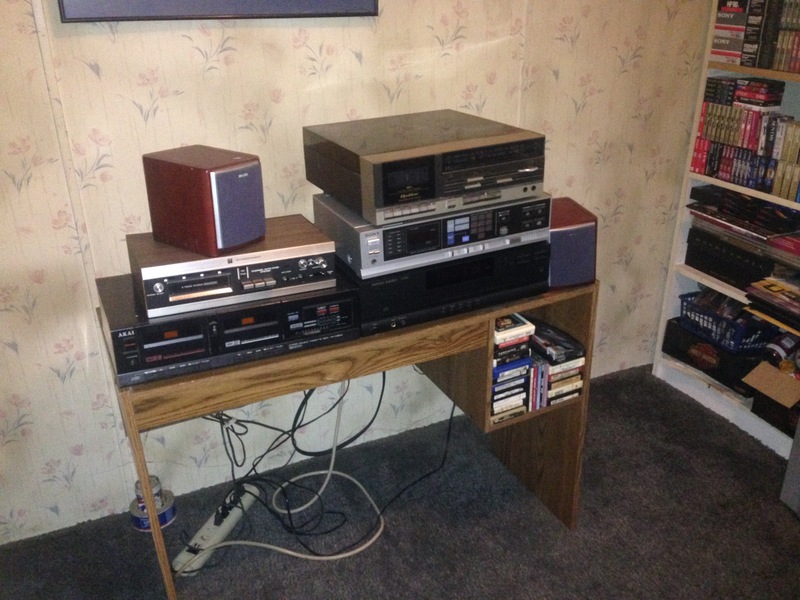 Record, Cassette, 8-track and CD! I'll go through the components starting with the top right. It is a Quasar CS7030 AM/FM Record Cassette, I only use the record function on it. Under that is a Sony STR-AV230 it is a AM/FM tuner but also a switcher so everything expect the Quasar hooks into that. 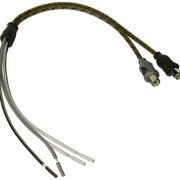 The Quasar doesn't have RCA outputs only speaker wire. Every bit of it works just fine, even the recorder function on the 8-track! I need to get some big floor speakers to hook up to it. Those little ones I have hooked to it were just some I had lying around and they get the job done good enough for now. The whole setup is mainly just for fun, since I had the extra space back there I figured I'd hook it up so it could actually get some use rather than just sitting out in the barn. I don't use it often but it is fun to put on a record, cassette, 8-track or even a CD and listen to it when I'm in the mood. The only thing I really have a problem with is the 8-track. 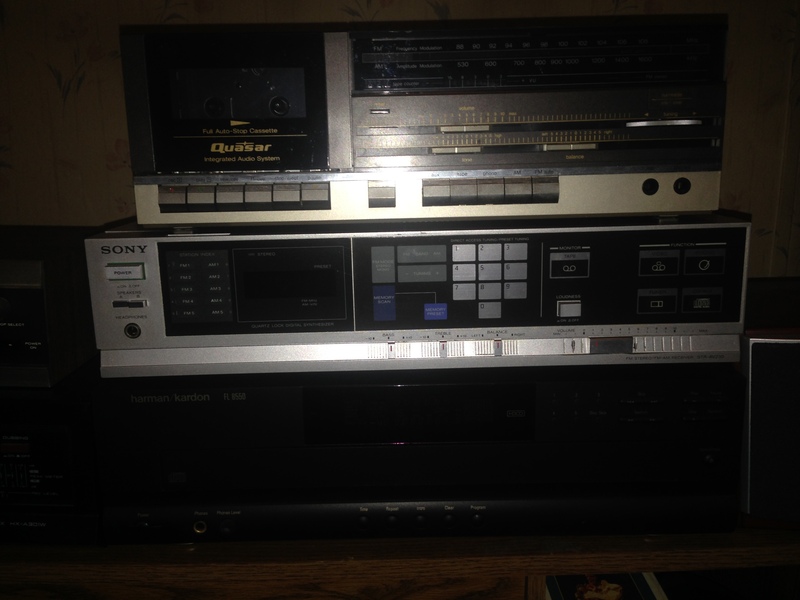 The player itself works great but alot of the tapes I have the little foam pad under the tape has deteriorated. They are easily replaced using something like weather stripping. I was going to try and repair a few but I could not get the damn tapes open to get in there and replace it. 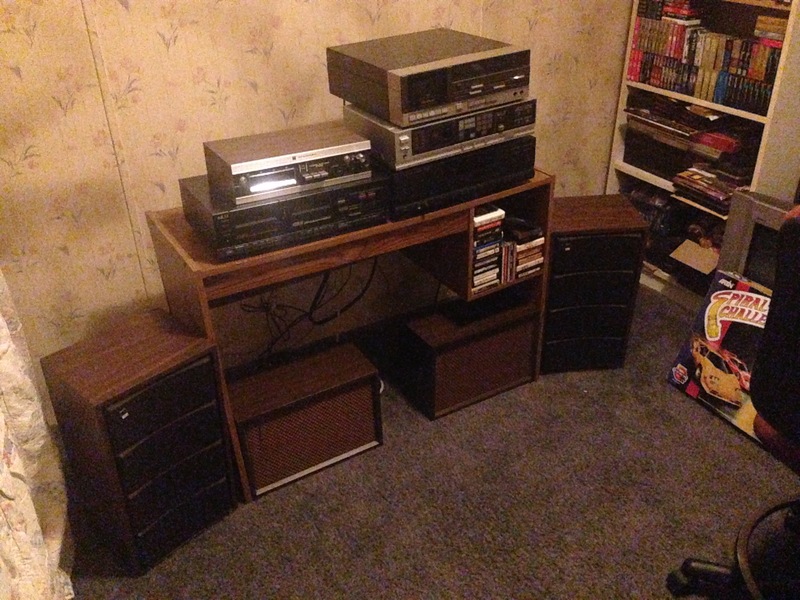 I also have a reel to reel player I need to setup back there as well. 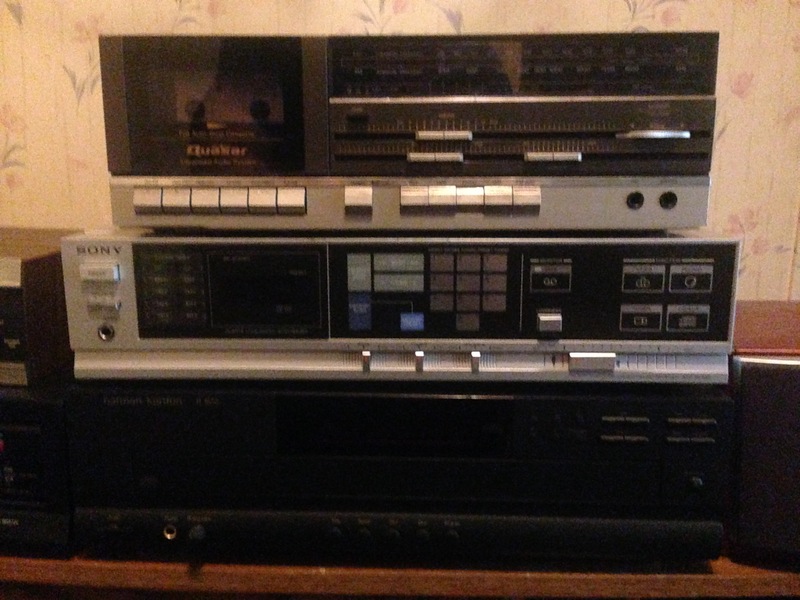 I have a Mini-disc player too, but I have no mini-discs and I'm not sure if the player even works. 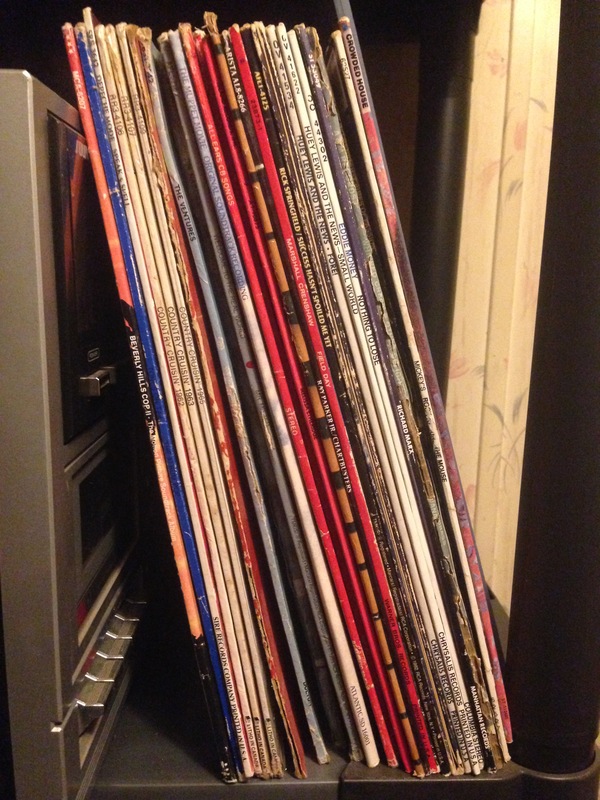 Here is a picture of some of the records, 8 tracks and CDs I have sitting there with it. 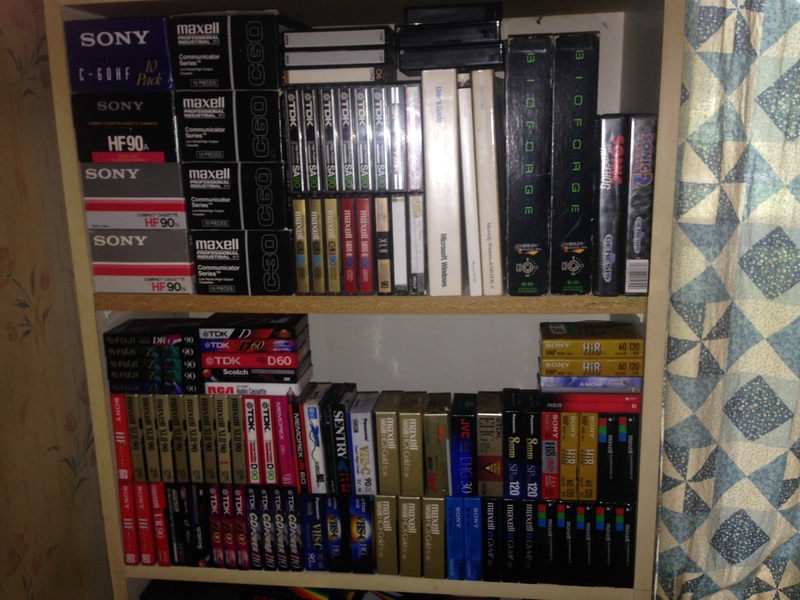 I don't have many of my cassettes back there at the moment. 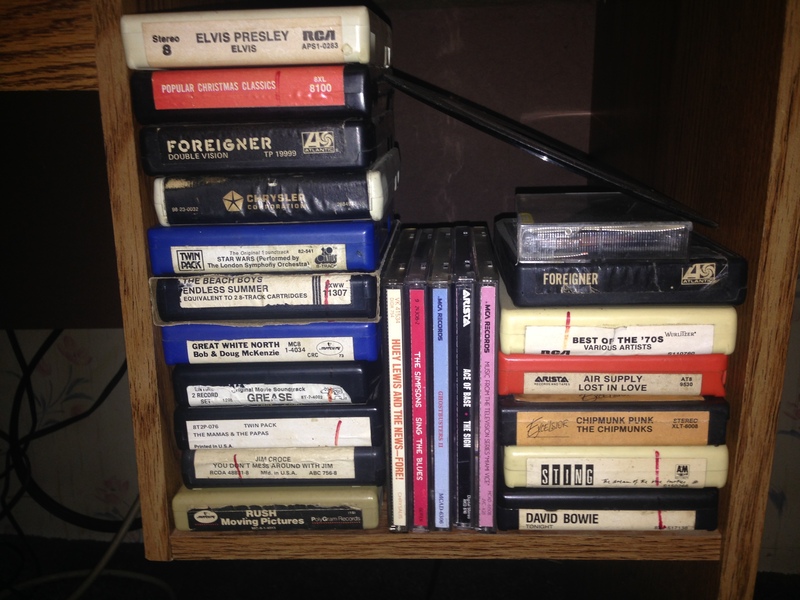 I've got even more 8-tracks than that, those are just some I brought in from the barn when I hooked it up. 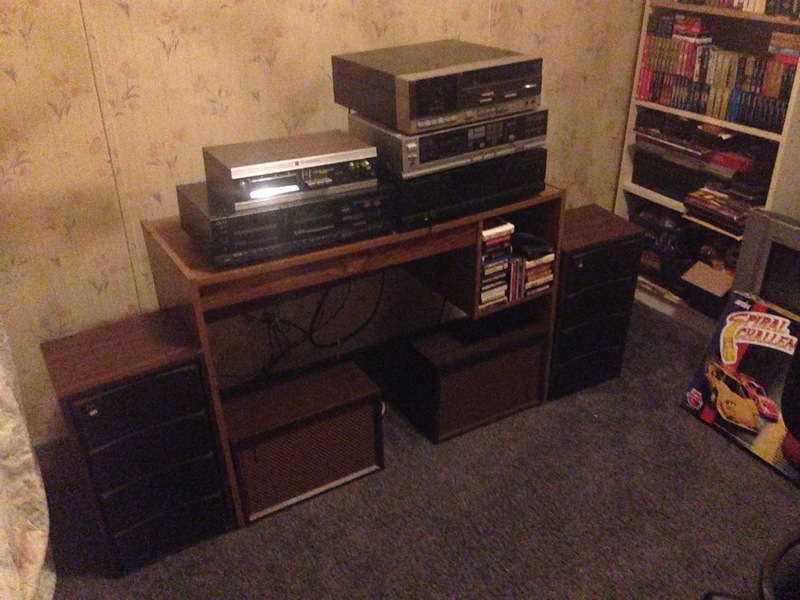 That is about everything about my old stereo setup. Figured a few people on here might enjoy seeing it. Actually I do have 2 more pictures. 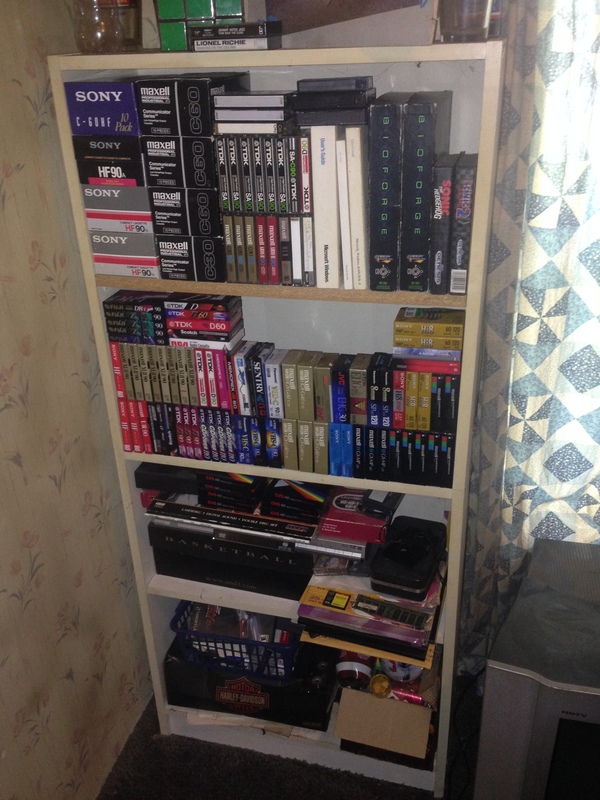 This is the bookcase that sits to the right of the setup. Over the years if I see a sealed tape for $0.50 or less I usually pick it up. I have a few old camcorders I like to mess with every now and again so I also pick up any sealed VHS-C or 8MM I find for the same $0.50 or less. I'll probably never open most of it, but I think it looks kind of cool with those top 2 shelves filled with all of it. It's a nice setup you have, Cal. 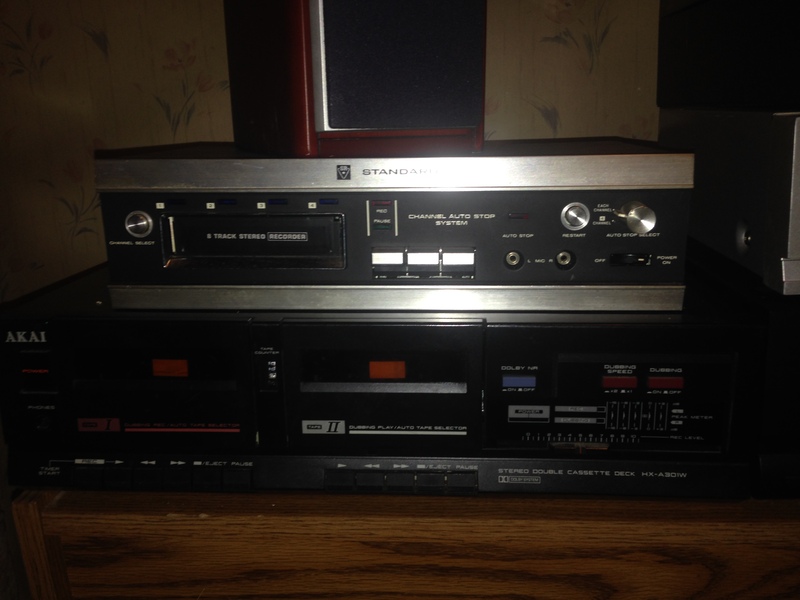 I've been looking at cassette decks lately. They're not cheap in Australia, for ones that still work at least. Your first priority in life right now should be getting suitable speakers for that setup. Drop everything else in the world and get some proper, retro and heavy speakers ASAP. ian wrote: Your first priority in life right now should be getting suitable speakers for that setup. 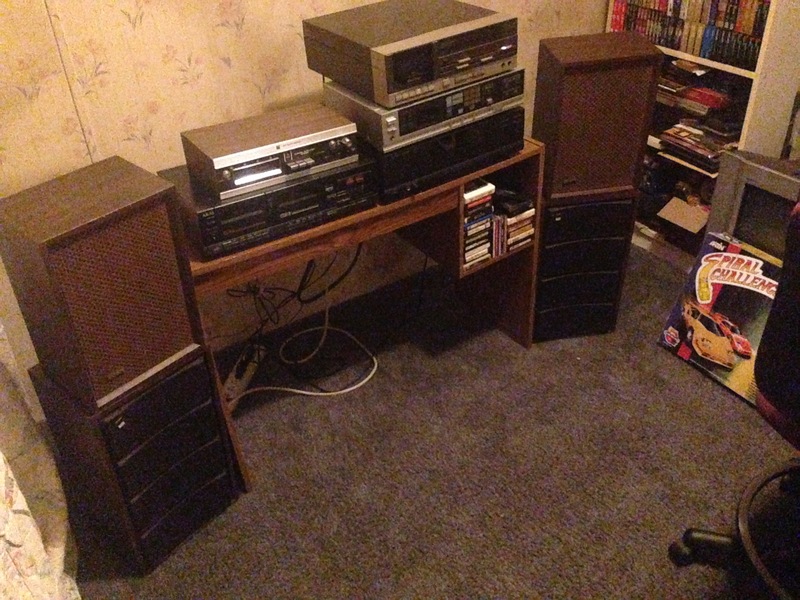 I stopped in Goodwill yesterday and they happened to have a decent set of old Sony speakers. The picture of the whole setup didn't come out very good so I took a couple close ups of one of the speakers to show what it is. I haven't hooked them up yet, I just set them there on the floor for now just to get a picture and see what they would look like sitting with everything. I would like some big floor speakers, but I haven't seen any decent ones at goodwill in a long time. These look better than what I had and for $7 they are a decent improvement. As I was writing this I suddenly thought of something. I have a pair of retro speakers sitting out in my barn right now that are a little bigger than this and probably sound a lot better! I can't believe I bought these and completely forgot I had a better pair sitting right out in my barn! That is the problem with being an electronics hoarder, sometimes you forget what you have! I still might be able to use them with this setup though. The Sony STR-AV230 that I have everything hooked into actually has outputs for two sets of speakers and you are able to have them both on at the same time. I was wondering how it's possible for you to have all that equipment and not have a decent pair of speakers to match. melancholy wrote: I was wondering how it's possible for you to have all that equipment and not have a decent pair of speakers to match. 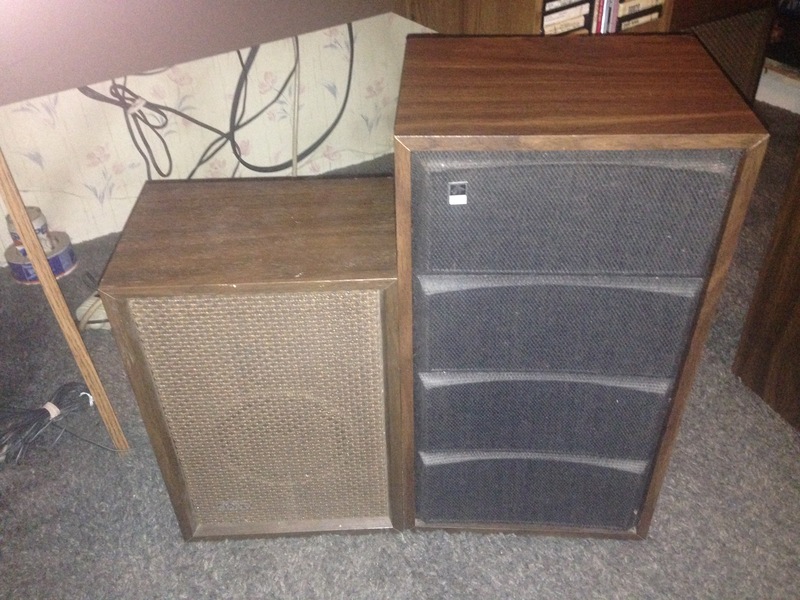 Comparing the Sony SS-250 Speaker I bought from Goodwill yesterday with The Fisher XP-56S speaker I had in the barn. The Sony speakers sitting on top of the Fishers. Fisher speakers hooked up and sitting on the left and right side of the desk with the Sony speakers laying horizontally under the desk. So what do you think? Looks alot better now than it did with the little Phillips speakers huh? 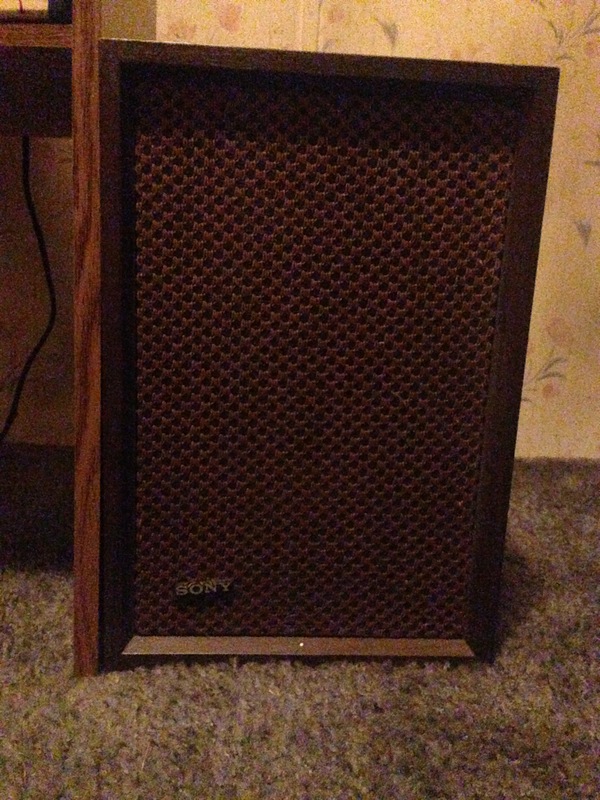 I just have The Fisher speakers hooked up for right now. I only turned it on FM radio low to make sure they came on. It is currently 5am so I couldn't exactly blast them The Sony speakers aren't hooked up at all yet but I'll hook them up later in the day. They each end with an RCA plug instead of just speaker I know it isn't necessary and may not even make much of a difference having both sets of speakers on at once, but since I have the speakers in there and the receiver supports up to two sets I figure I might as well try it out. There is really only one issue with the whole setup. The Sony STR-AV230 receiver has two outputs via speaker wire for the two sets of speakers. Then it has RCA inputs for each device you want to hook to it. 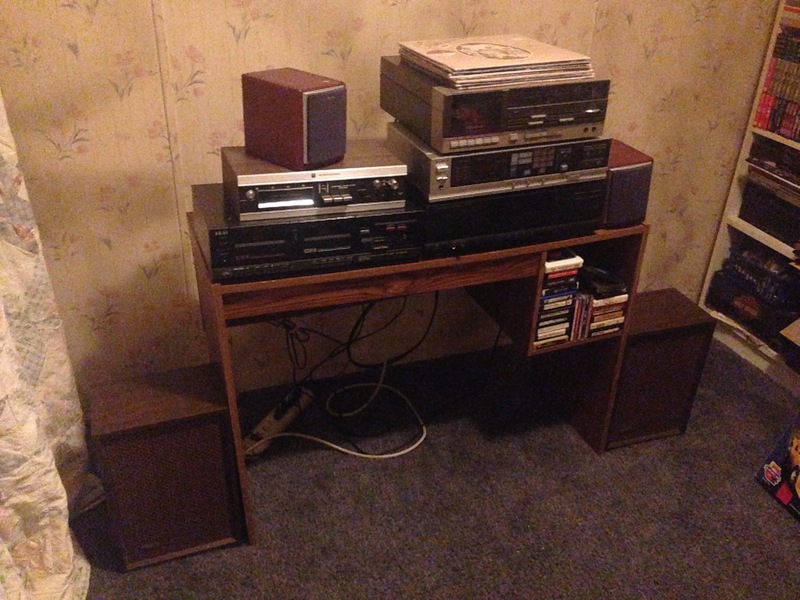 So I have everything hooked into that, except for the record player. It only has speaker wire outputs. So it looks like to get it hooked up properly into the Sony receiver I'll need one of these. Looks like it cost about $8 for that cable, so that isn't too bad. After that everything should be hooked up perfect and good to go.